You've been hearing about Sriracha everywhere this past year and now it's you turn to try it out if you haven't yet! You only need a tiny bit of it for the most part because it's pretty hot but it sure does add a great flavor. This salad is my new favorite because it's low cal and the flavor packs a delicious punch. With the hot of the Sriracha and the sweet of the Thai sauce it is the perfect balance. 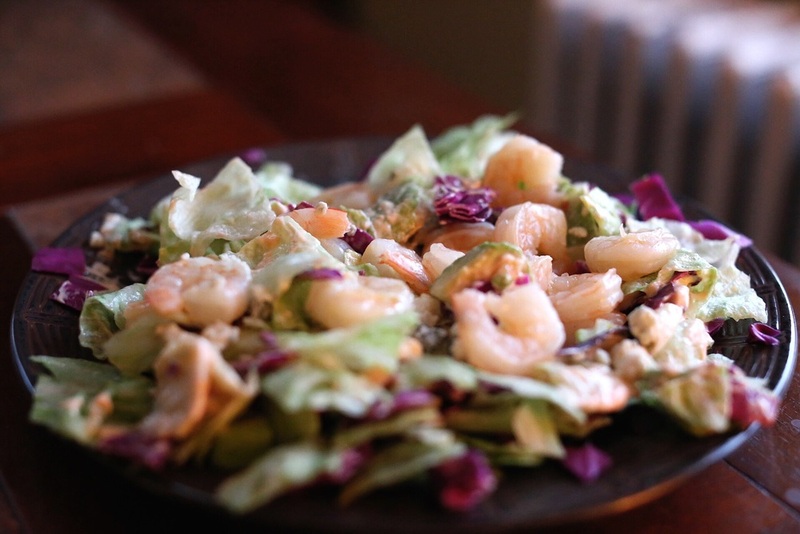 This recipe is yet another from the cookbook "Skinny Taste" called "Bangin' Good Shrimp". I, of course, made a few slight changes of my own. Along with amazing flavor it is also easy to make. Prepare the shrimp by sauteeing, and then in a large bowl mix everything together. At only 215 calories per serving (makes 4 servings), it's a hard recipe to resist.